Nano Sealant for Stainless Steel and Chrome - the only true stainless steel sealer! 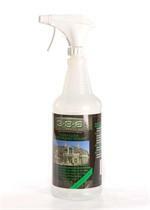 Specially formulated to deep clean stainless, chrome and glass. Compete kit to clean and seal polished granite and marble.